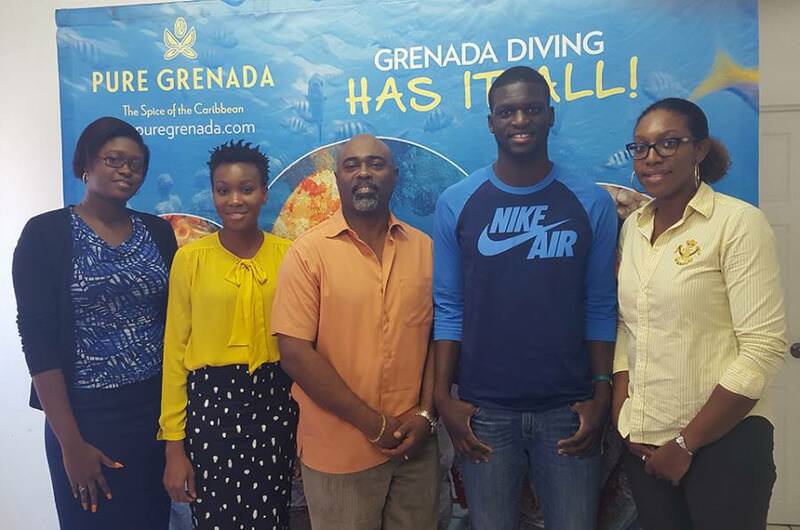 The Grenada Tourism Authority has announced its intention to engage the management team of Olympic gold medallist Kirani James, as part of its effort to develop a new partnership with the athlete who carries the title of Sports Ambassador for Grenada. The reigning 400 metre Olympic champion who is presently in Grenada on a private visit, met with a team from the Grenada Tourism Authority (GTA) led by the Chief Executive Officer, Mr Rudy Grant on Monday, 19 October 2015. Other GTA staffs in the meeting were Senior Marketing Executives Delysia De Coteau and Nisha McIntyre, and Corporate Communications Officer Chrislyn Lashington. “This preliminary meeting was in an effort to ignite a working relationship with Grenada’s world-renowned athlete,” said a press release from the GTA — the institution which replaced the Grenada Board of Tourism as of 1 January 2014, following an act of Parliament to repeal the legislation that created the Grenada Board of Tourism, and replaced it with the new legislation which created the Grenada Tourism Authority. The campaign, among other things, incorporated a specially designed logo featuring Kirani James carrying Grenada’s national flag with the tagline, “Grenada: Gracious Every Day,” rolled out in an integrated approach on Grenada Tourism’s website, digital advertisements and social media pages.